Twenty -five year old Coraline Renfro is in mourning. She and her long time boyfriend, Blake Parrish, have broken up and Cora hasn’t been dealing with it well. She’s shut herself off from the world around her, and buried herself in her work. Tired of being alone, Cora accepts a date from a colleague, and slowly begins to move on. When Blake comes calling again, will Cora take him back or will she show him how it feels to have a door slammed in his face and his hopes and dreams of a future with her dashed? This will probably be the shortest review I ever write, but this was a short book to read and I do not want to give away anything. “Walking Away” is about taking chances and walking away from the past, to make a better future. Coraline is going to learn how tough it is at first since her boyfriend, Blake, walked out of her life without even a note or a goodbye. She has been mourning over him for a while now, until she finally decides to move on and goes out with her co-worker, Charlie. Due to what her ex-boyfriend did to her, she’ll be on guard when she is with Charlie. Until fate decides to make the past come back into her life…and now Coraline must decide to go back to her former life with Blake or change her path and take a chance with Charlie. This was such a short read, I was able to finish it in less than an hour (without interruptions…of course…which is hard for a stay at home mom). It was fast paced, which made me confused at first because it was so fast…..but it was an enjoyable read. I would have to re-read certain parts, to make sure I read correctly what happened. 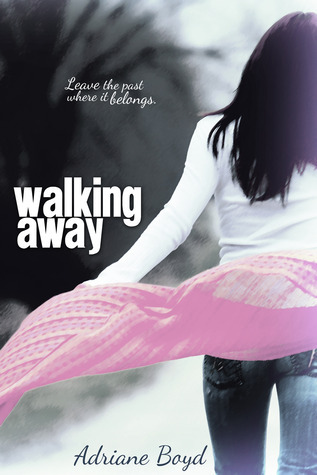 “Walking Away” teaches readers a lesson on learning how to walk away from the past, especially if the past hurt you. The real kicker to the story is when Coraline finds out the truth on why Blake left her. All I can say is, Coraline definitely found her way and she chose the right path. This is Adriane Boy’s first book and I definitely enjoyed it. I look forward to reading more books from her in the near future.